"Congruent has a highly effective team of consultants who are responsive and strong on Sales cloud and the platform. They helped us with an integration project that involved quite a few complex and challenging tasks. Not only was the project delivered on time, their consultants challenged every step in the integration and came out with good recommendations. It’s been a pleasure to work with them and we highly recommend them as a Salesforce partner"
SVN and other version tracking tool to support multiple development teams. 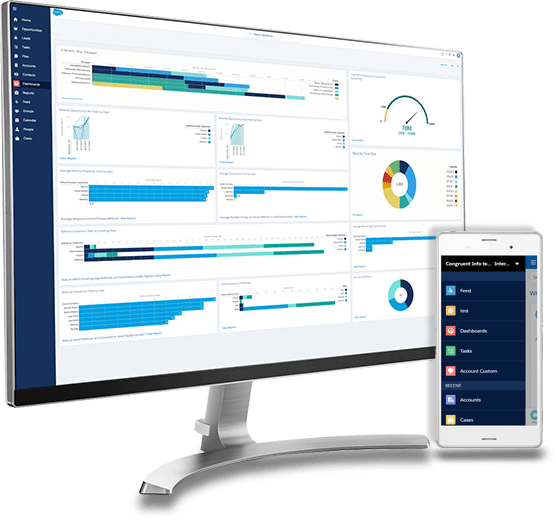 Using Salesforce connect (formerly lightning connect) to enable Salesforce users to view, search and modify data that’s stored outside your Salesforce ORG. Using Advance data integration tools (refer below) and custom apex code to migrate/import data between Salesforce and external systems. Lightning user interface integration in external systems using lightning out.